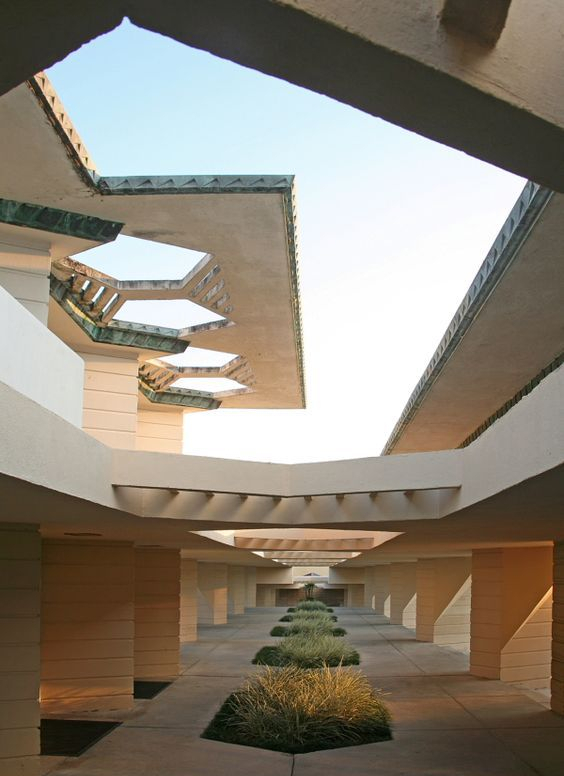 Frank Lloyd Wright had a long and prolific career spanning more than 70 years, and brought American architecture to the forefront of the world view. His craftsmanship was pristine and visionary, strongly influenced by the natural world, while embracing technology’s ability to make design universally accessible. Wright designed every sort of structure imaginable, and often additionally designed the interior elements like furniture and fixtures such as stained glass. He pioneered the Prairie School movement in American architecture, famous for sleek horizontal lines, broad overhanging eaves, and overall integration into the landscape. Take a peek at our top three selections for architectural wonders designed by Frank Lloyd Wright that have dazzled the world. Built in 1939, Fallingwater is likely Wright’s most famous work. Perched atop a rushing waterfall nestled into the forest, this summer escape in Pennsylvania draws millions of visitors year round. A natural sanctuary of stone and glass, situated on sweeping landscapes of the shores of Palos Verdes on the Pacific Ocean, surrounded by groves of towering redwood trees. Completed in 1921, the splendor of this rigorous composition is unparalleled. A hollyhock is a genus of about 60 flowering plants, also known as Alcea, and are what inspired the aesthetic of this house and the surrounding landscapes. Do you enjoy visionary architecture? Take a look at our favorite Mid-Century Modern homes in Palm Springs, California!